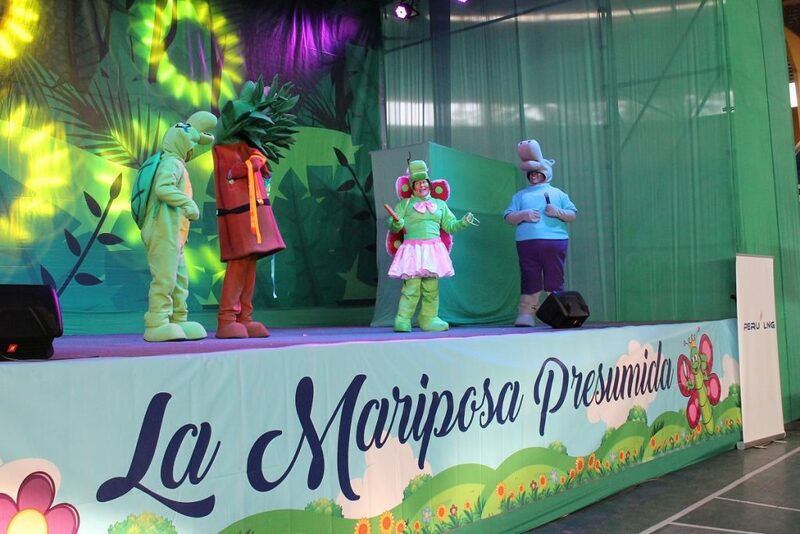 The company had “The Boastful Butterfly” theater play staged in the cities of Chincha, Cañete and Huamanga. Children spent an afternoon of music, dance, magic, smiles and joy during “The Boastful Butterfly” children’s theater play staged by Sendar Producciones between November 17 and December 1. “The Boastful Butterfly” is a play staged and directed by Verónica Alvarado, a children theater director and theater teacher, who is planning to stage it in Lima in 2019. The play is a touching story about the adventures of a beautiful butterfly which, after being elected the Queen of Spring, boasts of its bright colors among her forest friends. After some time, the forest animals refused to spend time with her. However, one day when the butterfly got into trouble because of strong wings and earth tremors, a small turtle decides to help her out. Both children and adults enjoyed the adventures of the small butterfly in an atmosphere of color and funny characters, cotton candy, balloons and coloring books. In each city, almost one thousand persons attended our traditional Children’s Day, which is organized every year by PERU LNG. The theater play, besides creating awareness of the importance of accepting differences, promotes friendship, tolerance and modesty, essential values contributing to coexistence and empathy for other people. © Copyright 2019. PERU LNG - All rights reserved.